Earlier this month, FSFE answered to the “Consultation on the respect of intellectual property in public procurement procedures” that was initiated by the Commission as a part of revising the EU legislation on enforcement of so-called “intellectual property rights”. The initial purpose of consultation, as indicated by the Commission, was to “gather evidence, opinions and feedback regarding the respect of intellectual property rights and trade secrets in public procurement procedures”, and assess whether there is a need for specific guidance for public authorities in this regard. The call was open to the wide range of stakeholders, including public authorities, businesses, civil society, and general public. 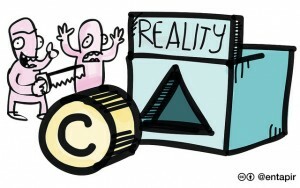 In the light of the whole reform on “enforcement of IPR” in EU, including so-called “follow the money approach” the Commission intends to take in order to “fight commercial scale infringers”, the consultation seemed to be constructed from the perspective of “abused” right-holders as several questions asked to list evidence of copyright and trade secrets infringements in public procurement procedure, allegedly being “infiltrated” by such goods. It is also notable that the consultation handled the questions of copyright, patents and trade secrets together, especially in the context of recent reform on Trade Secrets Directive, that creates a “pseudo-IPR” to the information not intended to fall under “traditional” set of copyright/patents/trademarks. New rules of public procurement (Directives 2014/24/EU, 2014/23/EU, 2014/25/EU that will enter into force after 17 April 2016) may require to conduct a check of compliance with copyright, patents and trademarks in order to guarantee no “IPR” infringing products being procured by public authorities. Therefore, for Free Software, we argued, that Free Software/Open Source licences have to be respected not only by proprietary suppliers who often neglect the distribution and source code publishing terms under these licences, but also by procuring public authorities who will redistribute software subsequently. The main goals for FSFE in answering to the aforementioned consultation was to restate several goals concerning not only the questions regarding Free Software in public procurement, but also to address more general issues with the current copyright and patent systems, such as unacceptable situation of software falling under patent system as “computer implemented invention” that is devaluing the rights of users and developers granted under copyright. In scope, FSFE found that yes, guidance on how to handle copyright in public procurement procedure in regard to software is needed, despite some positive developments towards the use of Free Software/Open Source licensed products in public sector in several member states. Furthermore, the terms of Free Software/Open Source licences have to respected in further distribution of publicly procured products, which means that public authorities may be required to conduct compliance checks of proprietary software with relevant Free Software/Open Source licences in order to ensure the respect towards copyright of developers and redistribute these procured products as Free Software. Software should not be covered by patents and it is impossible to procure software that is not violating any patents. The rights of copyright holders should not be devalued by third parties’ patents. Every publicly funded software should be published and distributed as Free Software by default, so that public administrations, companies and individuals can use the software for their own purposes and provide better services for public authorities. The respect towards Free Software/Open Source licences has to be ensured in further distribution of publicly procured software. Please find a Wiki page with the full answer submitted by FSFE. For additional background information please see Commission’s website. The image is a derivative of original image by Paul “polywen” Lee, “Bat Man Slap”, CC-BY-NC 2.0. The derivative is licensed under CC-BY-NC 2.0.